As an organisation, we take health and safety extremely seriously and employ a full-time Health and Safety Manager to make sure that all elements of safety and training are fully in place. Our expertise means that we are able to tailor our safety systems to the precise needs of the client, ensuring that they have a bespoke system that complements their own business, and that in turn also ensures they are fully compliant with the latest legislation and all sites are safe. We have implemented a management based system which contains all elements required for the key fundamental operations to meets our clients’ demands. We are proud to have certification for a wide range of disciplines including NICEIC, Gas Safe and F-Gas registrations. We are committed members of the British Safety Council (BSC), the Institution of Occupational Safety and Health (IOSH) and various Safety Schemes in Procurement (SSIP) auditing bodies. We provide in-house IOSH-approved bespoke courses for all our engineers, including SSSTS/SMSTS–CITB courses where required, and every one of our engineers has the relevant City & Guilds training for their individual discipline. A British Safety Council course is delivered to all our staff with regards to health and safety, with all courses delivered by our team of highly experienced practitioners. This commitment to health and safety ensures that every member of staff, including our team of engineers, is up to date with current health and safety requirements and that he or she is fully qualified and eligible to enter any premises or business environment. 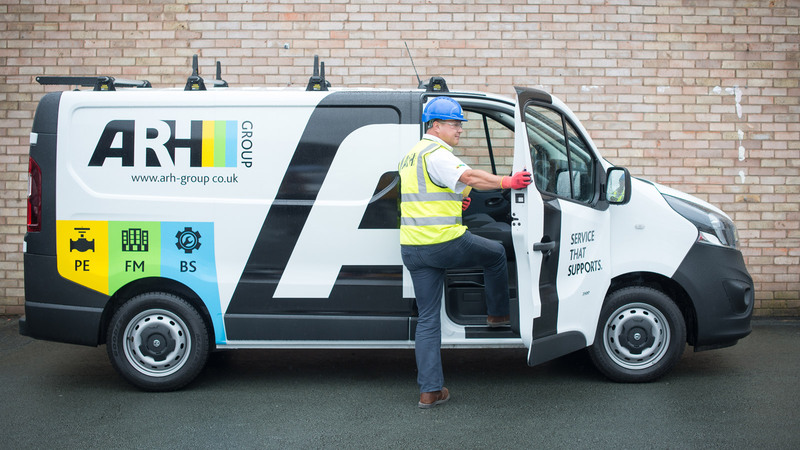 When we do use sub-contractors for specialist disciplines such as roofing and drainage, we always ensure that they complete a subcontractor questionnaire and that they are externally audited to make sure they meet our highest standards of customer care. Acknowledgement of our work is testament to our expertise and commitment to providing the very best service. Work on a site at Featherstone Prison in the West Midlands, for example, achieved both a RoSPA Gold and Silver Award in the Considerate Contractors Scheme, an accolade which we are very proud to receive. In addition to our current certifications, we have an ongoing commitment to achieve OSHAS 18001 registration in Health and Safety.